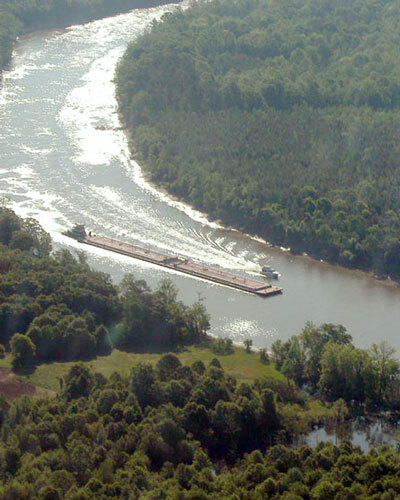 Slack water conditions of the Tenn-Tom mean that barges can use a smaller horsepower towboat which reduces fuel costs and shipping costs. 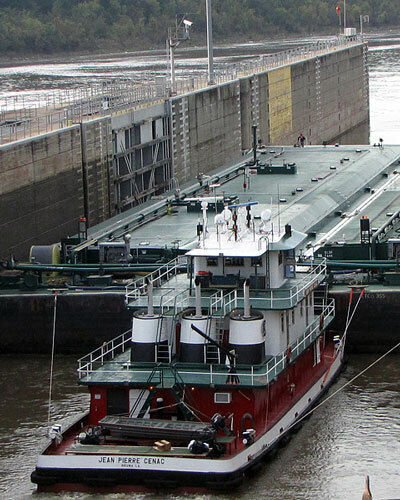 Returning empty barges via the Tenn-Tom Waterway instead of the Mississippi River means barges don’t have to fight the swift currents and can use a smaller horsepower towboat. Compare different shipping methods. The Tennessee-Tombigbee is strategically positioned to serve increased trade with Latin America and other foreign markets. About 2 million tons of commerce are now exported each year on the Tenn-Tom. These shipments are expected to dramatically increase once the new, $300-million container port in Mobile is completed in early 2008. Port facilities throughout the waterway corridor offer a wide range of intermodal services to companies involved in international trade. Deep-water ports along the Gulf can also be reached by the Tenn-Tom. 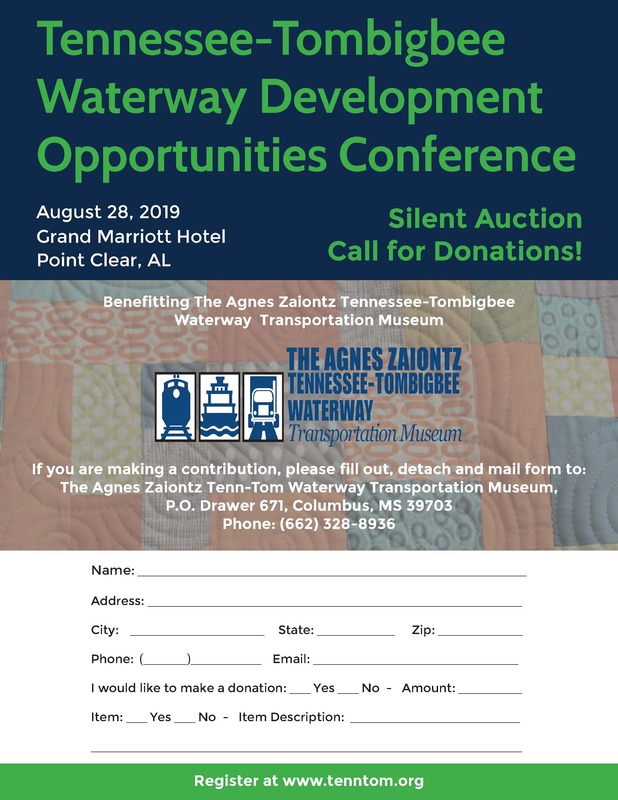 One distinct advantage the Tenn-Tom Waterway corridor has over other regions is the availability of over 40,000 acres of prime waterfront property with affordable development costs and minimal environmental restrictions. Some 40 sites, conveniently located throughout a 54-county, 4-state region, are ready for business. Visit the economic development page for locations and detailed information about each of these sites. Over $5 billion of new and expanded industrial development have located in the waterway region since its completion. These companies include Boeing, Weyerhaeuser, Kerr McGee, Nucor, IPSCO Steel, and newer corporations like SeverCorr Steel and Allant. The Tenn-Tom saved companies millions in 1988 when a summer drought closed the Mississippi River to barge traffic. Unaffected by low water conditions, the waterway proved to be a viable alternative route to the Mississippi and kept plants in the Ohio Valley and Midwestern States supplied with essential raw materials needed for continued operation for nearly two months until the Mississippi River became navigable again. The Tennessee-Tombigbee Waterway provides a safe route for transporting Delta lV rockets built by the Boeing Corporation at its plant near Decatur, AL, to launch sites in California or Florida. The waterway serves a crucial role in the security and defense of the United States by safely transporting these rockets for the U.S. Air Force and for other strategic uses. The waterway has also helped facilitate other deployment operations by the military, such as those by the 101st Airborne Division at Fort Campbell, KY.
Rail costs for some shippers decreased by as much as 15 to 25 percent when the Tenn-Tom first opened. The availability of an alternative mode continues to help keep rail and truck shipping costs in check. More recent studies conclude that manufacturers and producers that have access to more than one mode of transportation enjoy similar cost savings. The Waterway offers supplemental water supplies for municipal and industrial uses provided the withdrawal doesn’t negatively affect navigation or other congressionally authorized uses of the federal project.